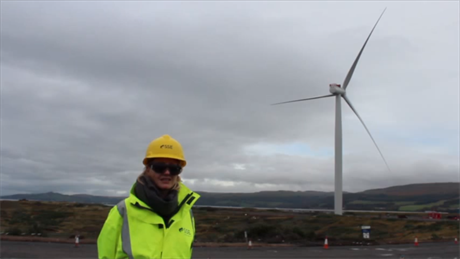 UK: The 24MW Hunterston offshore demonstration site in North Ayrshire was given a £1 million (EUR 1.19 million) grant from the UK government. Energy minister Edward Davey awarded the grant to utility SSE, for its National Offshore Wind Turbine Test Facility project, which it is developing with Scottish Enterprise. Scotland’s first offshore turbine test site will see the development and testing of three turbine prototypes on land to enable 24-hour access to make modifications and repairs. A Siemens' 6MW turbine was installed at the centre in October, and Mitsubishi's 7MW SeaAngel turbine is due to be installed in May. The third berth will be operated by Scottish Enterprise, which has funding from the National Renewables Infrastructure Fund. The £1 million grant is part of a £2.5 million investment from the government’s Offshore Wind Component Technologies Scheme. Jim Smith, SSE’s managing director for renewables, said: "This funding will enable the project to find new ways to improve efficiency and reliability of offshore turbines and ultimately drive down costs."